The British Psychological Society’s Chief Executive, Professor Ann Colley, retired at the end of September. I knew her mostly during her time as an employee of the BPS over the last nine years, but many members will have known her much longer and will recall her earlier service to the Society as both Honorary General Secretary and President. I was delighted to have been asked, as current Honorary General Secretary, to say a few words when we made a presentation to her at the annual Trustees Away Day in September, and some of my thoughts are worth repeating here to be a more permanent record of our appreciation. Ann served twice as Honorary General Secretary. The first time was for three years from 1989, when membership of the Society stood at 13,000. The second time was from 2003 to 2008. She was interested in gender issues from a research perspective and in her Presidential Address, entitled ‘Psychology, science and women’ she looked at the role of psychology, directly and indirectly, in getting girls into science and why they enrol in such significant numbers for psychology degrees, which after all is a science subject. The address, published in The Psychologist (August 1995, p.346) is definitely worth a read. 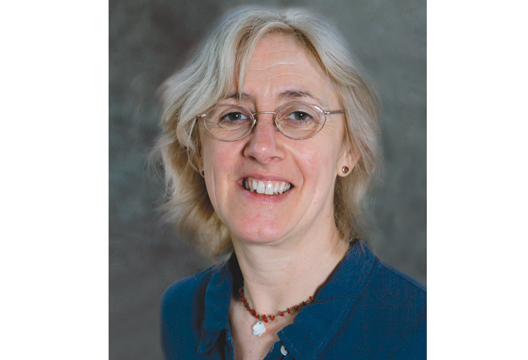 Ann took up the position of Chief Executive from the beginning of September 2008, after giving up her academic post at the University of Leicester. So what was the Society like when Ann took over the reins? Financially the Society was in poor shape, with a significant financial deficit. This involved having to make 30 staff from the Leicester office redundant to cope with the shortfall. There was much discussion about what to do with the BPS journals operation, whether to leave it in-house or to seek a partnership with a publisher. The Society had also purchased a new London office in what seemed a rather downmarket part of London, on the wrong side of Old Street. The Health and Care Professions Council had also come on the scene. Their role in registering practitioners, approving practitioner postgraduate courses and pronouncing on fitness to practise issues removed these functions from the Society. The fear was that practitioner members would not pay to belong to the regulatory body as well as a professional body. The predictions were for a wholesale desertion of practitioner members. So where are we now in 2017 and how did these issues play out? As Trustees we have become used to our Finance Director telling us we are in good financial shape, perhaps even with a degree of complacency. History tells us it wasn’t always so. Our numbers are up to 60,000. The loss of practitioner members did not occur. In many ways, the advent of the HCPC with its explicit aim of public protection made the role of a professional body absolutely clear: the promotion of psychology and psychologists for the public good. We have newly refurbished premises in Leicester, now used for members meetings, and a London base, located in the incredibly fashionable and expensive area, which is now called Silicon Roundabout, that is in constant use by our members. We partnered with Wiley for our journals operation after a tendering process and much soul-searching by the then Trustees. This partnership has gone from strength to strength, thanks in no small part to the role played by Ann. We are undoubtedly in much better shape than in 2008. Finally, I want to mention the role of the Chief Executive, the senior management team and the BPS staff. I am going to draw the parallel with a famous comedy programme called Yes, Minister. For those of you who are more up to date, the modern version is called The Thick of It. Those with long memories will know that Sir Humphrey Appleby, the endlessly knowledgeable and suave civil servant and Permanent Secretary had to spend a lot of time putting right what Jim Hacker, the Minister for Administrative Affairs had messed up, while all the time keeping the show on the road and making sure that the Minister or shall we say Trustees get all the credit. How do Ann and her team handle this? The same way that Sir Humphrey did, rather than the Malcolm Tucker approach, which as I recall involved quite a lot of swearing and ferocious threats in the face of what he used to describe as an omni-shambles. She and the senior management team do this with good grace, supreme tact, detailed knowledge about the workings of the Society and an endless capacity to help us recognise that once we are in a hole we should stop digging. Ann, in particular, worked closely with a new President on an annual basis and has I think now worked with nine very different Presidents, starting with Liz Campbell, who announced her appointment in 2008. She was strategic, wrote a deadly email, was extremely discrete and brought an incisive intelligence to the many issues that face us. I wish her well in the next phase of her life, which I hope will give her time to devote to the things she cares about, her family, in particular her grandchildren and her many interests.